Greetings from The 88 Project! We are bringing you news, analysis, and actions regarding human rights and civil society in Vietnam during the week of November 19-25. Political prisoner Nguyen Viet Dung was transferred to a new prison farther away from his family. Tran Huynh Duy Thuc was possible poisoned in prison. Imprisoned labor rights advocate Tran Thi Nga was finally able to see her two children, but Nguyen Ngoc Anh’s family was denied a visit with him. Religious activist Siu Thai was beaten so severely in prison that his memory was damaged and he could not walk on his own. Two prisoners’ appeals of their sentences were denied this week: citizen journalist Do Cong Duong and Facebooker Nguyen Hong Nguyen. We also remember four religious activists this week who were arrested in November 2012 for their involvement in a pro-environment Buddhist sect that was targeted for their beliefs. Huynh Truong Ca, a member of the Hien Phap constitutional rights group, has been recommended to be prosecuted under Article 117 of the 2015 Criminal Code. And Le Thu Ha, a pro-democracy activist who was released early from prison in June, attempted to return to Vietnam from exile in Germany but was denied entry and sent back. Nguyen Ngoc Nhu Quynh (Mother Mushroom), who was also released early from her ten-year prison sentence, was awarded the 2018 International Press Freedom Award this week. Also this week, police harassed activist Le Hong Phong and also detained female journalist Thu Le for questioning. In the news, read about Mother Mushroom’s international advocacy efforts and an interview with recently-imprisoned William Nguyen from the BBC, as well as a review of Mai Khoi’s New York performance with her band Mai Khoi and the Dissidents. Coming up, female blogger Huynh Thuc Vy will face trial on November 30 for spray-painting a flag in protest of the government. Please take action to support our work: donate to The 88 Project on the occasion of Giving Tuesday so that we can continue to bring you the latest news on freedom of expression in Vietnam! On the morning of November 19, Nguyen Viet Dung’s father went to Nghi Kim detention center, Nghe An province, to meet with Dung. However, when he arrived, detention officials announced verbally that Dung had been transferred to Nam Ha Detention Center, Ha Nam Province, without any formal announcement sent to his family. The new facility is even farther from the family’s residence. Dung, founder of the unsanctioned Republican Party in Vietnam and the Loyalist Association of the ARVN, has been active in environmental and political protests and is currently serving six years in prison. Prison transfers are a common tactic used by the authorities to distance political prisoners from their support systems. Tran Huynh Duy Thuc’s situation in prison has greatly worsened. At his most recent family visit, Thuc informed his family that he suffered health issues possibly from poisoning, and prison authorities are denying him water to boil noodles and the ability to receive letters. He asked the international community to intervene on his behalf. Thuc, a leader in Vietnam’s pro-democracy movement, is serving 16 years in prison. On November 17, Tran Thi Nga’s husband and her two children were able to meet with Nga at Gia Trung Detention Center, Gia Lai Province. Nga was in good health and spirits but thinner. Nga became a vegetarian and told her husband to limit visits in order to spend the money on other items. On November 21, political prisoner Siu Thai, held at An Diem prison center in Quang Nam Province, was beaten so harshly that he lost his memory. In the latest meeting with his family, Siu Thai was not able to recognize any of his relatives. Moreover, he could not walk by himself. Siu Thai, also known as Ama Thương, is an ethnic Montagnard Christian arrested in April 2011. He was tried in December 2011 and sentenced to 10 years imprisonment under Article 87 (“undermining the unity policy”) of the 1999 Penal Code. On November 22, the People’s Court of Can Tho City held an appeal trial against Nguyen Hong Nguyen. His sentence was upheld on appeal. On September 22, he was sentenced to two years in prison under Article 331 of the 2015 Penal Code for “abusing democratic freedoms to infringe upon the interests of the State, lawful rights and interests of organizations and/or citizens.” During the trial, Mr. Nguyen did not have a defense counsel. According to the indictment, since 2017, Nguyen used a Facebook account, namely Nguyên Hồng Nguyễn, to read articles and watch videos, as well as pictures, with anti-state content. On November 19, Nguyen Ngoc Anh’s wife was not allowed to meet with Anh in prison but was said to send a letter to update him on news. Police have been questioning her on various subjects since his detention, including an alleged debt. 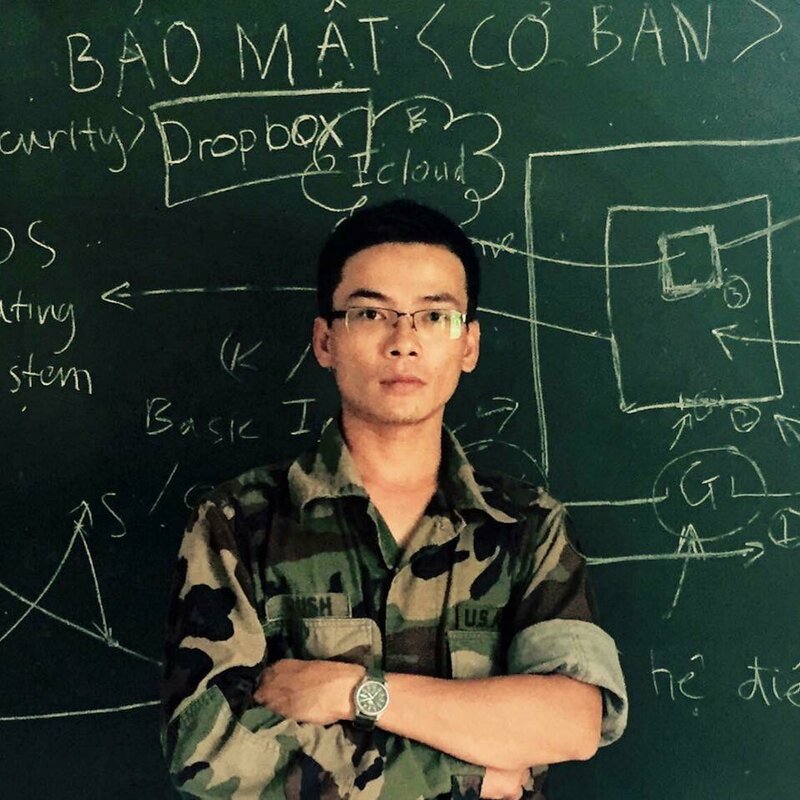 He was prosecuted under Article 117 of the 2015 Penal Code for “making, storing, spreading information, materials, items for the purpose of opposing the State of Socialist Republic of Vietnam.” Thanh Nien, an internal newspaper, reported that Anh created two different Facebook accounts to share, upload, and livestream items with anti-government and anti-party content. However, his wife pointed out the real reasons of his arrest were actually because he raised his voice on political issues. Police have recommended that activist Huynh Truong Ca be charged with “making, storing, spreading information, materials, items for the purpose of opposing the State of the Socialist Republic of Vietnam” under Article 117 of the 2015 Criminal Code. A member of the Hien Phap group that advocates for constitutional rights, Ca was arrested on September 4. Beginning on September 1, police secretly began to detain the group’s members and withheld information about their detentions from their families. The group had planned to promote peaceful demonstrations in early September. This week, we remember four religious and environmental activists (Nguyen Thai Binh, Nguyen Dinh (not pictured), Phan Thanh Y, and Tu Thien Long) who were members of An Dan Dai Dao, a Buddhist sect founded in 1969 but outlawed after the Communist regime took over South Vietnam in April 1975. They were arrested in November 2012 and sentenced to between 12 and 16 years. Twenty-two people in total were tried under Article 79 of the 1999 Penal Code in January 2013, in what is called the “Council for the Laws and Public Affairs of Bia Son” affair. The group was charged with subversion and accused of writing documents critical of the government, and setting up two companies and investing in an eco-tourism park as a cover for recruiting supporters. However, those affiliated with the group maintained that the activities of the group were purely religious and that the authorities interpreted their religious teaching in political terms. On the morning of November 21, dozens of police came to Le Hong Phong’s private house and forced him to go to the police station of Gia Lam District, Hanoi without giving any reason. Later, Facebooker Bui Thi Minh Hang posted that Thong was released and came home at 6:00pm on November 21. He gave thanks for peoples’ concern but wanted to take a rest after “being taken care” for hours by police. Le Thu Ha, a colleague of human rights lawyer Nguyen Van Dai, came back to Vietnam and landed at Noi Bai International Airport on November 20 after living in Germany for five months. In June, she was released from a nine-year prison sentence in exchange for exile from the country. This si the first time that a political prisoner has returned to Vietnam by themselves after being released to live in a foreign country. At Noi Bai airport, Thu Ha messaged her mother, but she lost contact with her. On the morning of November 21, the security force of Quang Tri told her friends that Ha would not be allowed to enter Vietnam and would be sent back. Later in the day on November 21, the Brotherhood for Democracy reported that Ha was sent to Bangkok and was waiting to return to Germany. Le Thu Ha’s mother, Hoang Thi Binh Minh, in an interview with BBC, said that Ha wanted to come back to Vietnam to take care of her mother. However, her family and friends tried to persuade her to stay in Germany. In the phone calls with her mother, Ha said that her life in Germany is lonely and her mother thinks she was homesick. Ha did return safely to Germany, her mother confirmed. Facebooker Nhi Nguyen reported that journalist Thu Le and her daughter were taken in custody again on November 22, 2018 when they were at a hotel. Later, Thu Le reported her incident on Facebook, stating that she and her daughter rented a room at a hotel to after being harassed by police at their home. When she attempted to leave the room, police were waiting outside and “invited” her to the local police headquarters. She was released later that same day. Thu Le previously faced harassment after she was briefly detained and beaten by the police on November 9 for meeting up with families of protesters who were tried and imprisoned in Dong Nai Province. Mark your calendars! November 27 is Giving Tuesday. How will you give? 2018 has been a tough year for activists in Vietnam, with 54 activists and protesters arrested in the year thus far. In total, there are 181 political prisoners currently serving jail time or in pre-trial detention. Yet they continue their work, and so will we! Find out how you can support them, here. And please consider donating to The 88 Project to help sustain our efforts to bring up-to-date information about political prisoners and activists at risk.